40 people confirmed Dead in Lake Victoria, Tanzania: but officials say the number who drowned could be more than 200 in ferry capsize - News around the clock!! 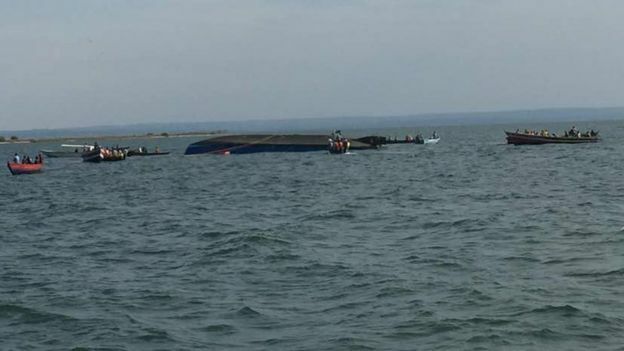 Tanzania: At least 40 people have died after a ferry carrying hundreds of people capsized on Lake Victoria, Tanzania. One official told the Reuters news agency the number who drowned could be more than 200. Rescue efforts have been halted until dawn on Friday. It is thought the overloaded vessel toppled over when crowds on board moved to one side as it docked. Officials have said the ferry was carrying more than 400 passengers. About 100 people were rescued while 32 are said to be in a critical condition.